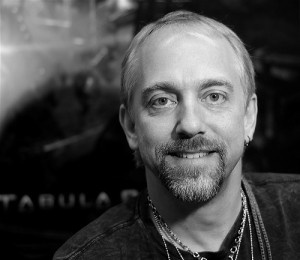 Tabula Rasa mastermind Richard Garriott has announced that his recent trip into space has inspired him to leave NCsoft to pursue other interests. In a message posted on the Tabula Rasa forums, Garriott described his experiences developing and releasing the MMOG as "an unforgettable journey," even as he admitted that the game suffered through a "rough launch." He also took the opportunity to thank the fans who have supported the game thus far, as well as the development team's efforts to put out updates and new content every month, "a feat that I think is unusual in MMO development." "Many of you probably wonder what my plans are, now that I have achieved the lifelong dream of going to space," Garriott wrote. "Well, that unforgettable experience has sparked some new interests that I would like to devote my time and resources to. As such, I am leaving NCsoft to pursue those interests." "This news is difficult for me to deliver. I am honored to have worked with the team I've had and I'm grateful to the community who makes this game so unique and fun," he continued. "Thank you and farewell." Observers more cynical than I could be forgiven for questioning the timing of Garriott's departure, which comes not only on the heels of his return from the void but also the news that Tabula Rasa is having a particularly hard go of it. The game was never the huge blockbuster NCsoft had hoped for, and the publisher was recently forced to issue a statement denying rumors that Tabula Rasa was at risk of being shut down. 1Up reported a few days ago that some retailers, including heavyweight GameStop, have stopped carrying the game altogether, while sellers on Amazon are offering new copies for as low as two bucks. Despite that setback, Garriott still has more than enough cachet in the gaming industry to do pretty much whatever he wants. The only question, then, is whether he still wants to do anything with the videogame industry. Whatever "new interests" it is he's decided to pursue, the next chapter in the saga of Lord British will undoubtedly be mind-boggling, in every possible sense of the word.